A Bonded Title is a a regular certificate of title that is marked with a "bonded" brand. This brand signifies that before the title was issued, the title owner had to purchase a surety bond. These surety bonds are known as Lost Title Bonds, or more simply, just Title Bonds. Our company issues those title bonds. We put together this guide as a starting place for how to get a Bonded Title in the state you live in. Please note that we, Surety Solutions, are just the surety bonding agency that issues the surety bond. The rest of the footwork, paperwork, and requirements must be completed by you, and then must be completed by your local DMV. Your local DMV is the one who issues you the actual title. Before starting the Lost Title Bond process, be sure that you are eligible for a bonded title. Usually, a bonded title is used in situations where you cannot get the original title because the original title has been lost, destroyed, or otherwise unaccepted by the DMV. You also might need a bonded title if you never received a title to your vehicle and you cannot obtain the original title from any of the previous owners. For more information on when you might need a bonded title, here are 4 common situations where you might need a bonded title. While we, Surety Solutions, can provide you with some common situations where a bonded title might be necessary, we cannot say for 100% certain if this is a valid option for you. The only person who can say for certain if you can get a bonded title is your local DMV. Call your local DMV, explain why you do not have a title, and ask if you could get a bonded title. If they say yes, then you can start the process. The first step, as noted in the last section, is to call your local DMV to make sure you are eligible for a bonded title. In most situations, you should call the DMV in the state in which you wish to register the vehicle. For example, if you purchased a car with no title in California, but you actually live in Florida, you will want to call the Florida DMV to see if you can get a bonded title. Some states do not allow bonded titles, which we will discuss in the next section. If you are looking to get a bonded title in one of the above states, you can stop right here, as a bonded title will not be an option for you. Our best advice is to call your local DMV and ask them what your options are to get a title. 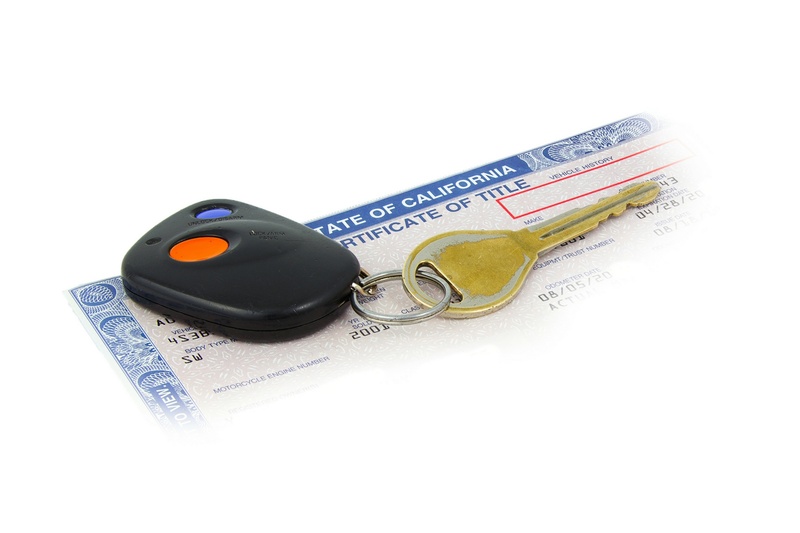 After calling your local DMV to make sure you can start this process, view our step-by-step guides on how to get a bonded title in the state you wish to register the vehicle in. Some states require additional steps like sending certified letters to previous owners of the vehicle and/or getting your vehicle inspected. Usually these additional steps are meant to be a safeguard should the original title be floating around out there. If you can find the original title, the DMV will want you to use that title. The step-by-step tutorial will explain every step necessary to get a bonded title, but below we will go into length about the surety bond. Because you do not have a title, your local DMV is not just going to magically issue you a title. They want some reassurance and protection, and they seek this through a surety bond. The surety bond in this case is called a Lost Title Bond, sometimes simply known as a Title Bond. These bonds can also be called Defective Title Bonds, Certificate of Title Bonds, and more. No matter what state you are trying to get a bonded title in, you will need to purchase a surety bond. When you get a title bond, you are promising you are the true owner of your vehicle and you will take responsibility for any surety bond claims that are made against your bond. Not sure what a surety bond claim is? Keep reading. A surety bond claim is a complaint saying that you did not fulfill your duties under the bond. In the case of a Lost Title Bond, a surety bond claim would usually state that you should not have been granted a bonded title. What happens if a claim is made against my Lost Title Bond? If someone comes forward later on and says that you should not have been granted a bonded title, they can make a claim on your bond. If the surety company finds the claim to be valid, they will remind you of your obligations under the bond and ask you to settle the claim. Usually this involves compensating the claimant for any financial loss or damages incurred. This might also involve returning the vehicle in question to its rightful owner. Perhaps the most confusing part of this entire process is figuring out how much this is going to cost. We, Surety Solutions, cannot speak to how much it will cost you entirely. We can only speak to how much the surety bond will cost you. Before getting a surety bond quote, you will need to know your bond amount. Your bond amount is dependent on the state you are getting the bonded title in and the value of your vehicle. We made a handy calculator for determining your bond amount here: Calculate my bond amount. After figuring out your bond amount, you are ready to find out how much the bond will cost you. Luckily, we make it easy for you to get a free surety bond quote so you can see what you would pay. After you purchase your surety bond, take the bond to your local DMV or title agency and apply for your bonded title. Upon approval, you will be issued a title. Your title will be marked "bonded". The "bonded" brand remains on the title for 3-5 years, depending on the state. You can learn more about how to remove the brand in the next section. Your bond remains active for 3-5 years. During this time, you do not need to do anything. The "bonded" brand remains on your certificate of title this entire time. As long as no one makes a claim against your Lost Title Bond, the bond will expire after those 3-5 years. After this time, you (or whoever owns the vehicle at the time) can go to the DMV and apply for the "bonded" brand to be removed from the title. If the DMV approves your request, the brand will be removed from the title and you will be issued a clear certificate of title. Can I sell a car with a bonded title? For answers to these common questions, please view our Bonded Titles Frequently Asked Questions post. See how much you'd pay for a Lost Title Bond with just a few clicks. I needed an out-of-state Vehicle Surety Bond and wasn't sure how to even begin the process. In doing some online searching, I discovered Surety Solutions. I was surprised to find the process flawless on their part. Very prompt, very accurate. My daughter and I were bonding around a mucked up title for a car we bought in California. Surety Solutions did a nice job getting focused on the correct form, and expediting our request.